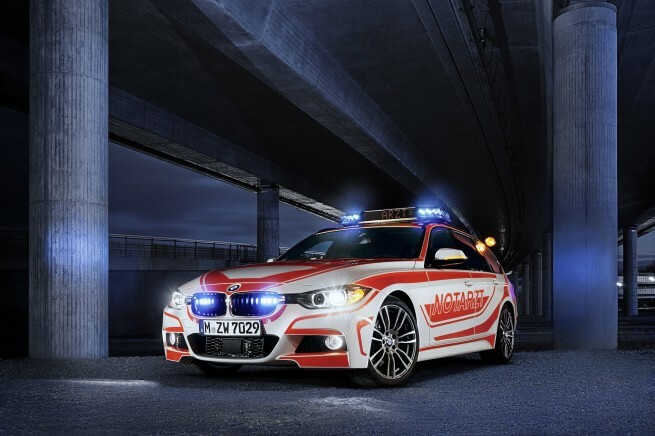 At the RETTmobil trade show in Fulda, the BMW Group will be presenting from 15 to 17 May 2013 an up-to-date overview of its range of purpose-built emergency vehicles. BMW will be exhibiting a total of seven different models – a BMW X6 M50d designed as a medical car for the racetrack and a BMW X3 as a fire brigade command vehicle at the main entrance, a BMW X1 “First Responder” and, at the exhibition booth, a BMW X3 and a BMW 3 Series Touring as emergency medical services vehicles, a BMW 5 Series Touring as a fire brigade command vehicle as well as a public authority version of the new F 800 GT motorcycle. 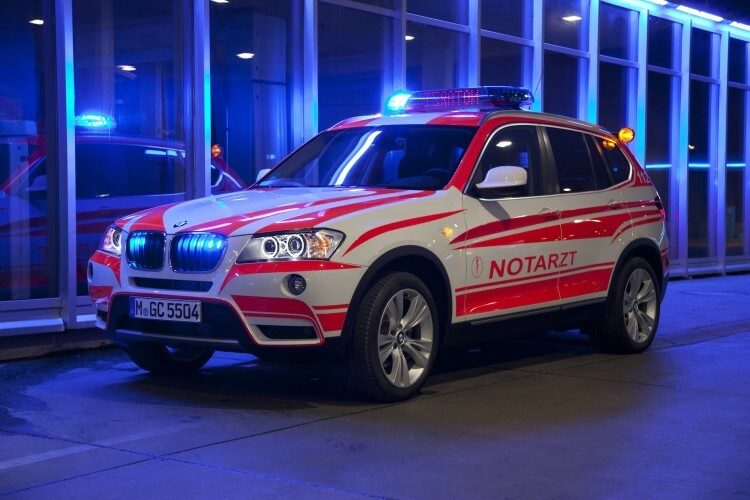 The concept of BMW emergency vehicles and the integration of specific equipment facilities are carried out in close cooperation between the BMW Group and specialists from the respective public authorities and institutions. 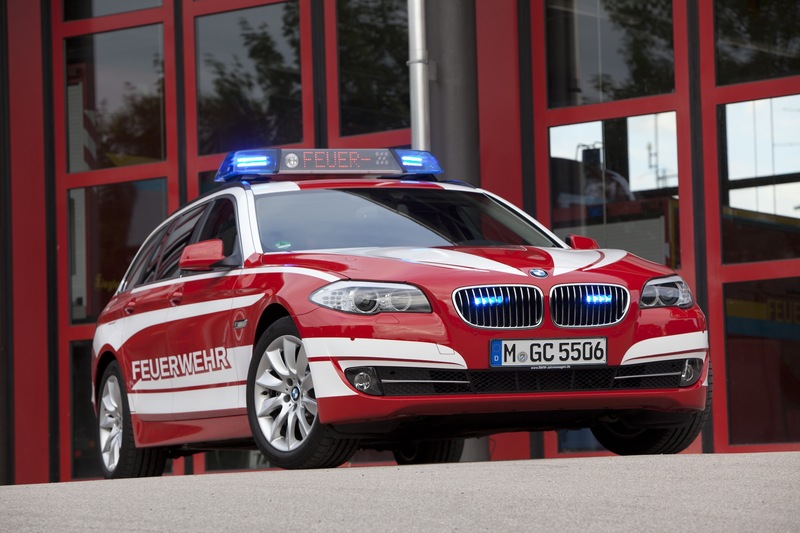 Innovative BMW technologies and permanent further developments implemented in close collaboration with firemen, emergency doctors and rescue workers ensure that the steadily increasing demands on modern emergency vehicles are fulfilled by BMW in a professional manner. Just like the basic BMW emergency vehicles themselves, the specifically integrated special equipment options conform to the highest standards in terms of functionality, quality and safety. This is guaranteed by integrated development of the application-specific components and the manufacture of these special models parallel to the respective series production models. One particularly illustrative example of integrated development is the impact protection feature for the loading floor of BMW emergency vehicles – a convincing example of BMW developers’ consistent aspiration to achieve optimum safety. Of course, BMW emergency vehicles also profit from the technologies and equipment options featured in the series production vehicles. The BMW EfficientDynamics strategy, for instance, which comprises intelligent energy management, consistent lightweight construction as well as targeted aerodynamics and engine efficiency measures, guarantees a reduction in fuel consumption and emissions, whilst at the same time optimising the operational readiness and effectiveness of the emergency vehicles. BMW ConnectedDrive, which stands for the intelligent networking of the vehicles with the environment, ensures ideal working conditions for emergency service staff. It manifests itself through an intelligent interplay between online services such as BMW Assist and BMW driver assistant systems such as Head-Up Display, which displays driving-related information directly within the driver’s field of vision, thus allowing the driver to keep his/her eyes on the traffic situation at all times. Head-Up Display provides information on speed, for example, and shows navigational instructions and information provided by the Speed Limit Info feature. Likewise, BMW Night Vision with person recognition should not remain unmentioned. An optional thermal image camera inside the double kidney grille transmits images of persons and animals located at a distance of up to 300 metres onto the Control Display. In additional, from a distance of 100 metres, the person recognition function also gives an optical warning as soon as persons move on the carriageway. As a result, the driver is informed of potential hazards significantly earlier, thus enabling him/her to react faster. All of these assistance systems help the emergency vehicle driver to remain in full control of the vehicle and the traffic situation even under extreme conditions. A particularly significant feature for emergency vehicles is Real Time Traffic Information (RTTI), a system that facilitates high-precision data processing for real-time route-calculation, thereby ensuring that the navigation system finds the fastest way to the desired destination at all times and under all circumstances. A further function is the enhanced emergency call feature provided by the BMW Assist online service. In the event of the emergency vehicle being involved in an accident, comprehensive accident-related data is transmitted to the BMW Assist Call Center in addition to the exact location, thus facilitating fast and targeted assistance at the scene of the accident.